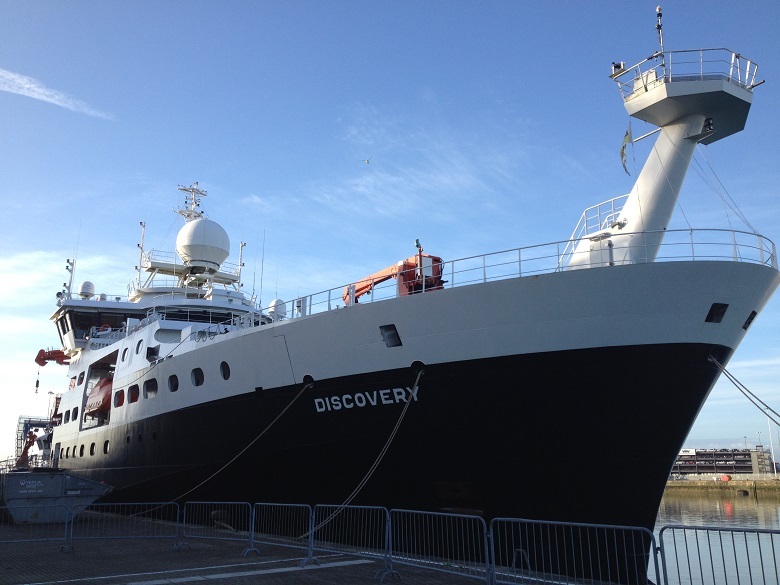 4th May 2015 saw the commencement of DY030 aboard the RRS Discovery, the latest cruise in the Shelf-Sea Biogeochemistry (SSB) programme. The aim of the NERC Shelf Sea Biogeochemistry research programme is to take a holistic approach to the cycling of nutrients and carbon, and the controls on primary and secondary production in UK and European Shelf Seas, and to increase understanding of these processes and their role in wider biogeochemical cycles. Of the 4 main work packages this cruise will mainly focus on Work Package 2 (Biogeochemistry, macronutrient and carbon cycling in the benthic layer) and Work Package 3 (The Supply of Iron from Shelf Sediments to the Ocean), but with facets of the CANDYFLOSS Pelagic Work package. All Work packages contribute to the overall Integrated modelling effort of Work Package 4. This mainly benthic focussed cruise is the third of four benthic cruises following on from DY008 in Spring 2014 and DY021 in March 2015. DY030 will include the use of a number of benthic lander systems, Autosub 3, gliders, benthic trawl equipment, benthic flumes, CTD water column sampling, Sediment Profile Imaging (SPI) camera and various coring systems.